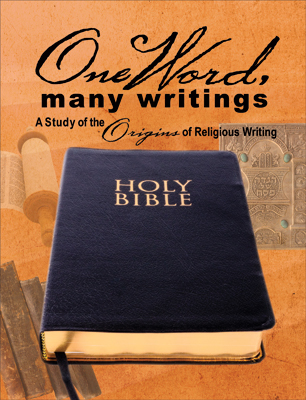 A Study of the Origins of Religious Writings. In a culture where it doesn’t seem to matter what you believe, it is imperative that Christians can recognize His Word over the many other writings available. This Bible study digs into the source and origins of other popular holy writings and compares them to the Bible.